The rhythm of the body, the melody of the mind and the harmony of the soul create the symphony of life. Tune into your life force with Harmony and experience the positive, soothing, inspirational blend of Amazonite and Clear Quartz. Let Harmony be your sanctuary, and help you navigate the path to better health, as a healthy outside starts from the inside. 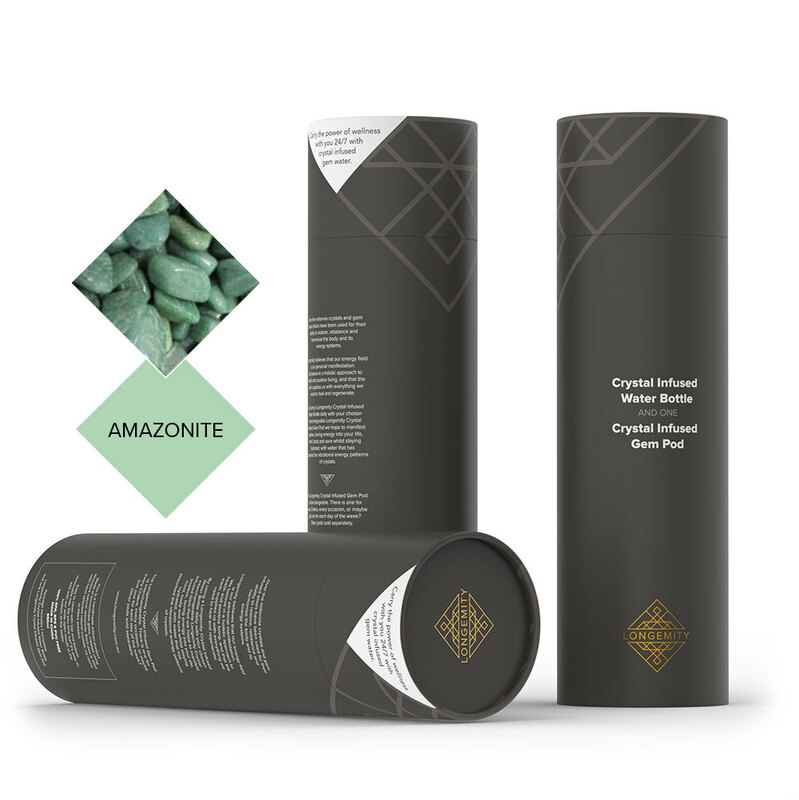 Hydrate your body with the love and light of this supportive and encouraging blend. For a more detailed description on each crystal/gemstone, their healing, emotional and spiritual attributes and more, click here. 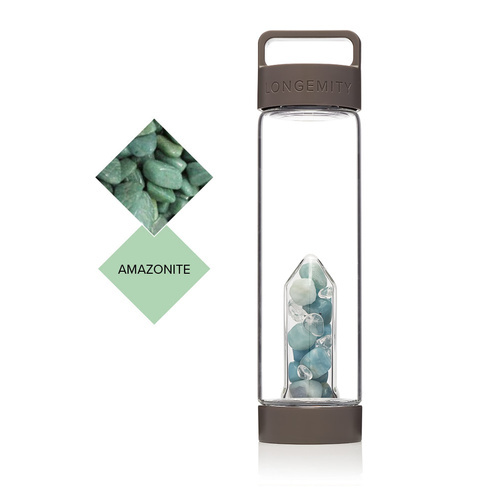 * Package includes 1 complete Longemity Crystal Infused Water Bottle and 1 Harmony Longemity Crystal Infused Gem Pod. A wonderful gift and great for personal use! I absolutely LOVE this water bottle. I find myself drinking much more water than ever before. Another nice thing is that I've always had teeth issues but they seemed to have lessen over the past 2 weeks that I've had this water bottle. I definitely recommend this water bottle over all of the other gem elixir water bottles. The design is just so sleek and professional. Not to mention that you can remove the stones if you want. The stones themselves are such high quality too. 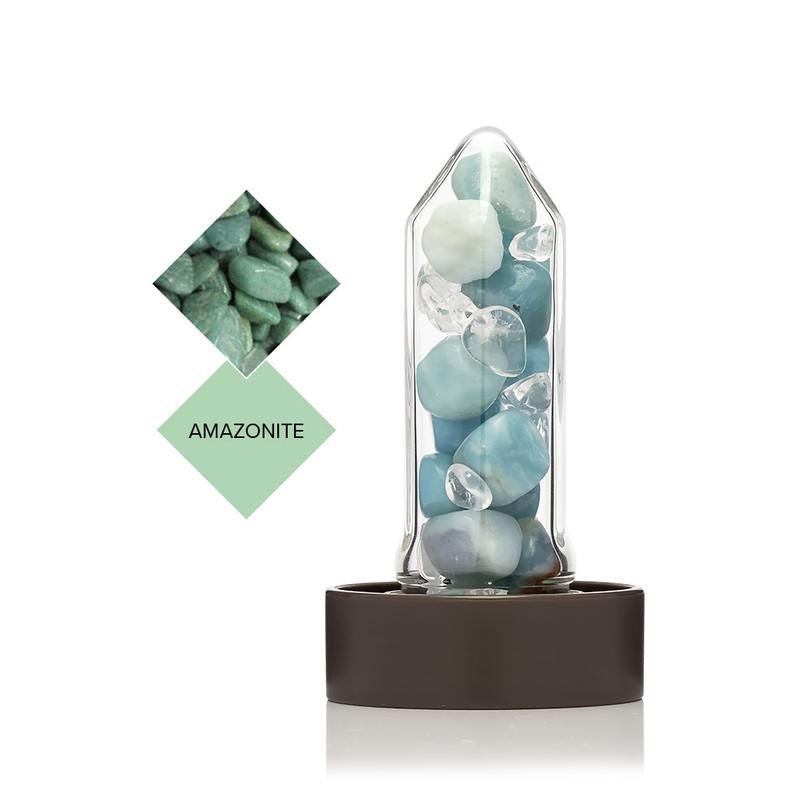 The clear quartz is so clear and the Amazonite has such vibrant color and energy. Buy this water bottle, you won't be disappointed! Purchasing this miracle water bottle was one of the best decisions I’ve ever made. I am drinking triple the amount of water I normally would in a day plus having the help with some crystal power helps keep me balanced. The fact you can change the crystals was a game change as well. My body, mind and spirit are now well looked after, so thank you Longemity! Absolutely love this product and how the crystals are interchangeable. I brought one for myself and one for a friend and I couldn’t be happier with them both. The best value for money I’ve found. Orders placed between 21-27 Dec will be dispatched 28th Dec.